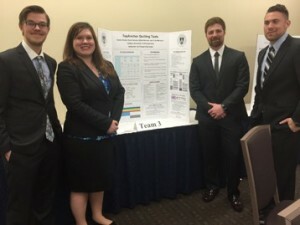 Betty Bland’s business, TopAnchor Quilting, was the center of attention this semester as 16 teams of undergraduate marketers from Duquesne University, Indiana University of Pennsylvania, Slippery Rock University and West Virginia University researched and developed marketing strategies for her business in the 2016 AMA Collegiate Marketing Plan Competition. Eight professional marketers including Betty (TopAnchor Quilting) Brian Bronaugh Principal #340 Design, Paul Carbone Sales and Marketing Director of UPMC Health Plan, Michelle Fuscaldo Management Supervisor MARC USA, Pam Koren Marketing Director McDonalds, Kerrie Kauer Manager Qualitative Research Campos Inc., Shea Murtaugh President Hoffmann Murtaugh Advertising and Steven Sarfin VP Marketing MedExpress judged the plan submissions, posters and presentations. Robert Morris University hosted the all-day event April 15th. AMA Pittsburgh’s co VPs of Academic Outreach Paige Beal (Point Park University) and Deb DeLong (Chatham University) coordinated this semester long competition. 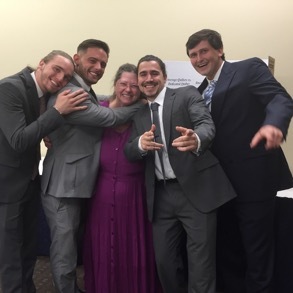 IUP First place team pictured with TopAnchor Quilting owner Betty Bland (l-r) Simon Casuccio, Jared Young, Jacob Henwood and Brendan Shields. 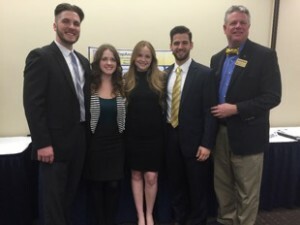 One of two WVU teams – these four came in second place. (l-r) Jacob Quick, Kaylea Bequeath, Shannon Malongey, Cavon Vagheei, and Professor Michael Walsh. 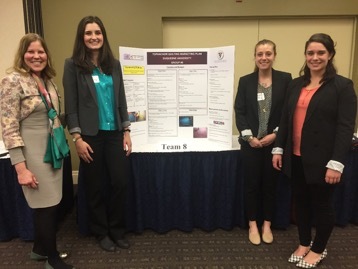 (l-r) Professor Audrey Guskey Duquesne University and her team of Nora Young, Caroline Lacy, and Danya Fenech tied for 3rd place. (l-r) IUP’s Elijah Herman, Alysia Drylie, Ryan Greene and Corey Marasco tied for 3rd place. It takes a village to run this marketing competition! 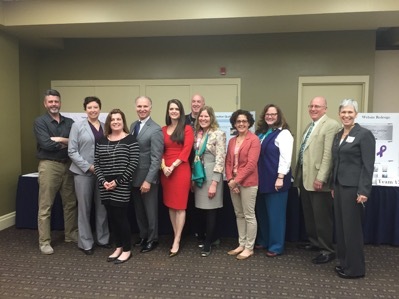 Pictured (l-r) are judges Brian Bronaugh, #340 Design; Kerrie Kauer, Campos Inc.; Michelle Fuscaldo, MARC USA; Shea Murtaugh, Hoffman Murtaugh Advertising; and Steven Sarfin, MedExpress. Professors Audrey Guskey, Duquesne University; Deb DeLong, Chatham University; Jeananne Nicholls, Slippery Rock University; Steve Clinton, Robert Morris University; and Paige Beal, Point Park University. 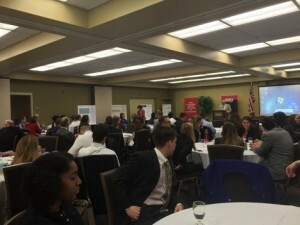 The competition participants came from four different universities including Duquesne University, Indiana University of Pennsylvania, Slippery Rock University and West Virginia University.